PROG-ROCK legends King Crimson are back on the road and are stopping off at St David’s Hall! 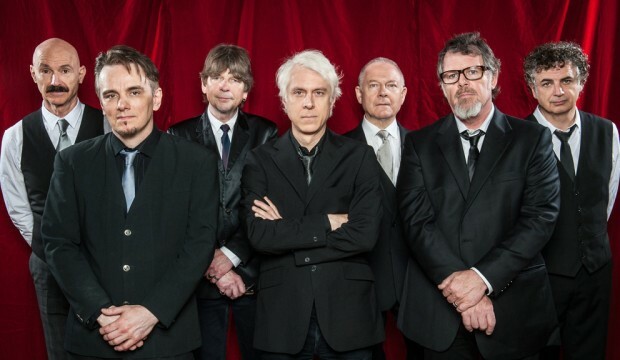 Always intriguing and innovative, the psychedelic icons are set to captivate a Cardiff crowd on Thursday 3 September with a back catalogue spanning nearly 50 years. Since forming in 1968, King Crimson have established a reputation as one of the founding fathers of progressive rock, which inspired the likes of Genesis and Yes. The band first sprang to prominence supporting the Rolling Stones at Hyde Park, whilst their album In the Court of the Crimson King is still widely regarded as one of the finest debuts of all time. Their follow-up In the Wake of Posiedon charted at No.4 in the UK charts, and the band went on release 11 more critically acclaimed albums. Within this extensive body of work are styles as diverse as jazz, folk, classical, hard rock and heavy metal from a group that prided themselves on being experimental and ever-changing. Last year the band released a career retrospective box-set entitled The Elements of King Crimson, which featured the fan favourite 21st Century Schizoid Man that was covered by Ozzy Osbourne in 2005 and even sampled by Kanye West for his hit single Power in 2010. The song also allowed King Crimson to reach a new younger audience as it featured in the Guitar Hero 5 video game! Leading the line-up for their new tour is the iconic musician and founding member Robert Fripp, who memorably worked with David Bowie on his classic album Heroes and Scary Monsters (And Super Creeps). With three drummers on stage accompanied by saxophones, duelling guitars and a jumble of electronic devices, King Crimson is unlike anything you’ll have seen before. Experience them live at St David’s Hall! Tickets are on sale from 10am on Friday 6 February priced £39.50, £50 and £65 (plus a £2.95 ticket service charge per transaction).